Experience MicroStep all-rounders @ Schweissen & Schneiden 2017! This year´s major international trade fair for cutting technology Schweissen & Schneiden 2017 in Düsseldorf, Germany will open its gates on Monday, September 25. 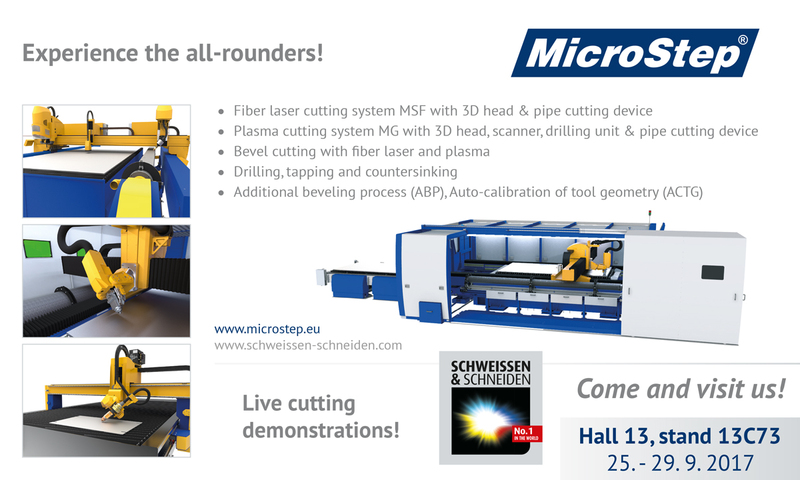 You are cordially invited to visit MicroStep stand 13C73 in hall 13. We present cutting edge plasma & fiber laser technologies in two multi-functional, high-precision and state-of-the-art cutting machines – MG and MSF.